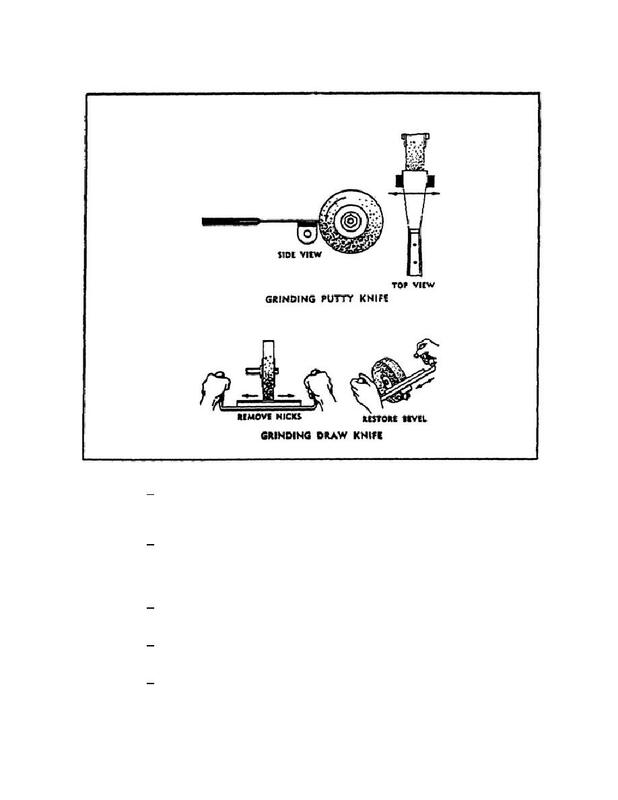 Home > Ordnance Documents and other related manuals > > Figure 106. Grinding Knives. Figure 105. Sharpening A Pocket Knife. back and forth across the wheel until all nicks are removed (figure 106). 5 Remove the wire edge by stropping.